Fort Steele Part of the BC Adventure Network. Over a million web site visitors annually ! 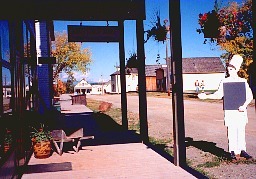 The town is back to life as Fort Steels Heritage Town is vibrant with the sights and sounds of frontier life. Visitors can enjoy first-class musical comedies, scripted street dramas, food at the International, and much more. The grounds are open year-round, dawn to dusk with an admission fee in peak season of mid-June to early Sept. Accommodations: There are campground/RV parks and a lodge located at the Heritage Town as well as a variety of motel/hotel and campground accommodation in the surrounding area.